In case you haven’t noticed, monitoring apps like SpyBubble spyware are popular nowadays and the demand going up because of the amazing features this awesome app provide. SpyBubble is a monitoring app and service that is exclusively made for parents and employers to protect their businesses and kids from cyber threats. It is essential for parents to know about their kids’ activities, friends, online friends and whereabouts all the time nowadays. Same goes for employers in order to protect their businesses by protecting valuable information and critical data. What you can do with SpyBubble? SpyBubble spyware comes with lots of monitoring features that allow parents to monitor their kids’ online Snapchat activities and employers to keep a keen eye on their employees all the time. SpyBubble comes with calls monitoring and recording, message monitoring, email and IM monitoring as well as social media monitoring that includes Facebook, WhatsApp, Snapchat and many others. Like most of the other monitoring and tracking apps and services, SpyBubble also has option to track the target device using the GPS feature. SpyBubble is quite easy to setup and even easier to use. You must have the target device in your hand in order to install SpyBubble on that. After the installation process, you don’t need physical access to the target device because you can monitor and track all the activities from the web portal. You can also change settings regarding monitoring different apps and services from the same portal. 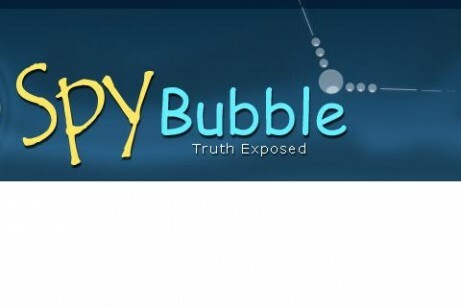 Yes, SpyBubble spyware is totally undetectable and it works in stealth mode; so you don’t have to worry about being caught, although the process varies on different operating systems so you have to consult the company for further information regarding installing this app on a particular model or operating system. can I record the call ?